The key to delivering a high quality and professional service for hydrodemolition is the type of nozzle used. It is vital that the nozzles utilised are of the very best quality. Nozzles that aren’t up to standard can blow during a job and this can be costly in terms of expense to replace, as well as slowing down the completion of the task and impacting on the costs to the customer. In order to meet the professional standards of the company and the customer expectations, Hydroblast use the very best nozzles. These include the DEMJET nozzle. 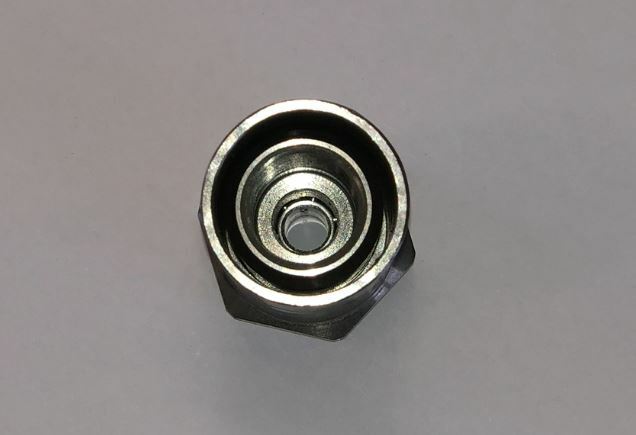 The DEMJET has all of the features of a quality high pressure nozzle plus more. 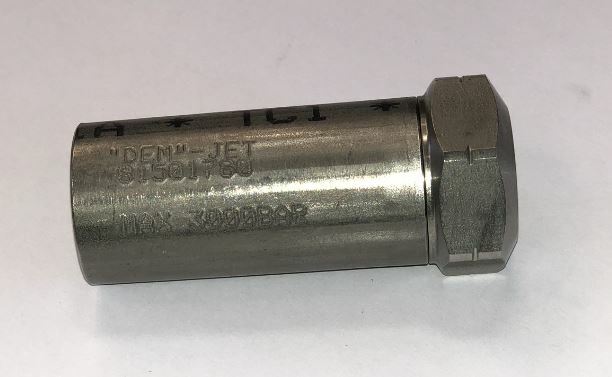 Incorporating a unique design, the DEMJET features an intelligent channel that draws air behind the nozzle itself before releasing it at the front of the nozzle. The result is a formation of air around the water being jetted out at a high pressure. This is significant because the cushioning of air produces a much sharper and effective jet. This is because it prevents the jet from facing friction from air, which causes the water to disperse to wider than the nozzle. Instead, the DEMJET produces a much smoother jet that leads to a cleaner and professional result. When is the DEMJET used? Hydroblast utilise the DEMJET nozzle for hand lancing hydrodemolition. This process is often used in smaller tasks and those that require greater precision. The nozzle is suitable for Hydrodemolition as it maintains the high pressure, which allows Hydroblast to complete tasks with efficiency and accuracy. As a result, the DEMJET is routinely used for concrete removal tasks. We recently used the DEMJET to remove concrete stairs whilst keeping the formwork intact. Head over to our case study to see a video of the hydrodemolition nozzle in action. 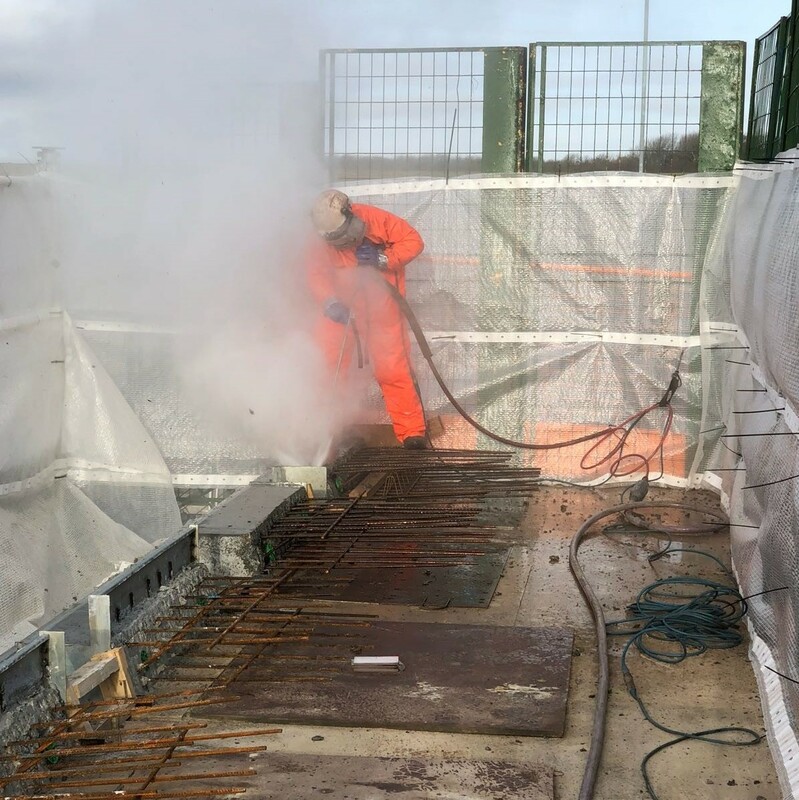 If you are unsure about whether the DEMJET hydrodemolition nozzle would be suitable for your task then don’t hesitate to contact us as we will be happy to offer helpful advice for your situation. Call us on 01677 428 786, email us at [email protected] or fill out the contact form below. We look forward to hearing from you.